One of the advantages by having a car is that you can make as many detours as you want along the way. 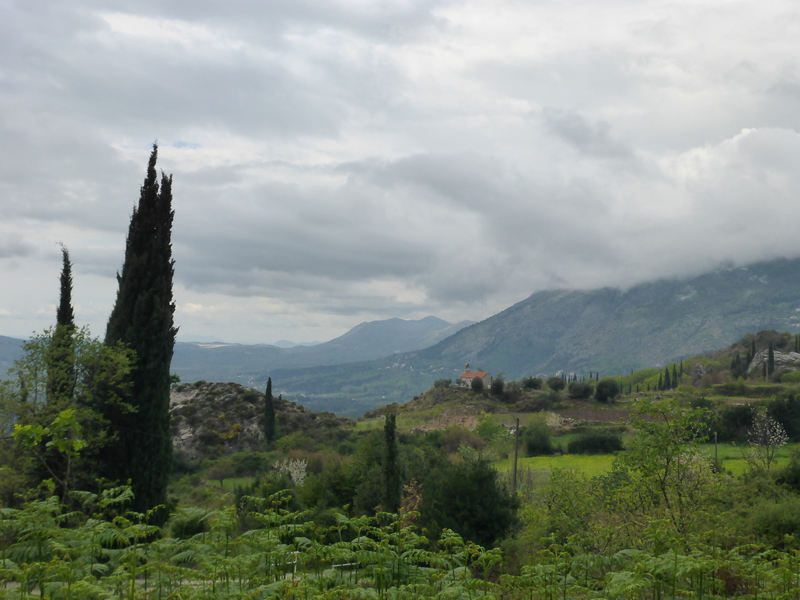 On the drive towards the border to Montenegro we saw several signs leading to Sokol Grad, so we decided to have a look. Most of the small fortress that still stands today dates back to year 1420, but there is evidence of settlement in the area all the way back to the Copper age. A nice place to stop by if you are not in a rush. It also allows you to drive the smaller roads instead of the main road, driving passed small local communities. Do not drive back the same way you arrived, but continue onward and you will get to the main road just next to the border. The border crossing was very quick, but I have earlier experienced several hours waiting time. That was in the high season though, but you never know. Driving around Kotor Bay is well worth the detour, instead of taking the shortcut across by ferry. The scenery is beautiful, with the blue water and the high rising mountains with small villages along the seaside. In the bay there are also two small islands, one of them being artificial. Legend has it that the island called Our Lady of the Rocks and the church with the same name was made after finding an icon of Madonna and the child at this spot. 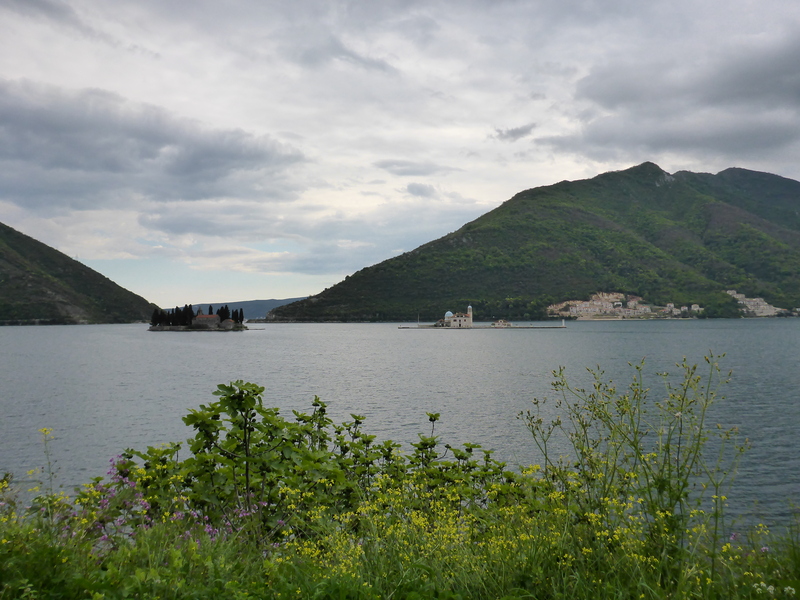 We just passed Kotor this time, as we will be coming back later on our trip. 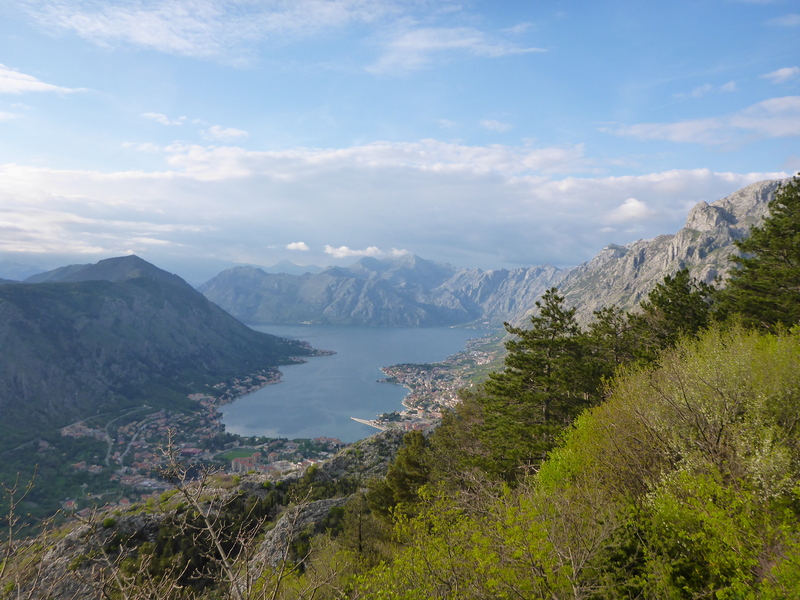 Continuing towards the old capital Cetinje, we drove the serpentine mountain road, going continuously upward offering a beautiful view of the bay and Kotor. The road is not very well marked, and our GPS wanted us to drive the highway, so we were glad we had road maps as well. 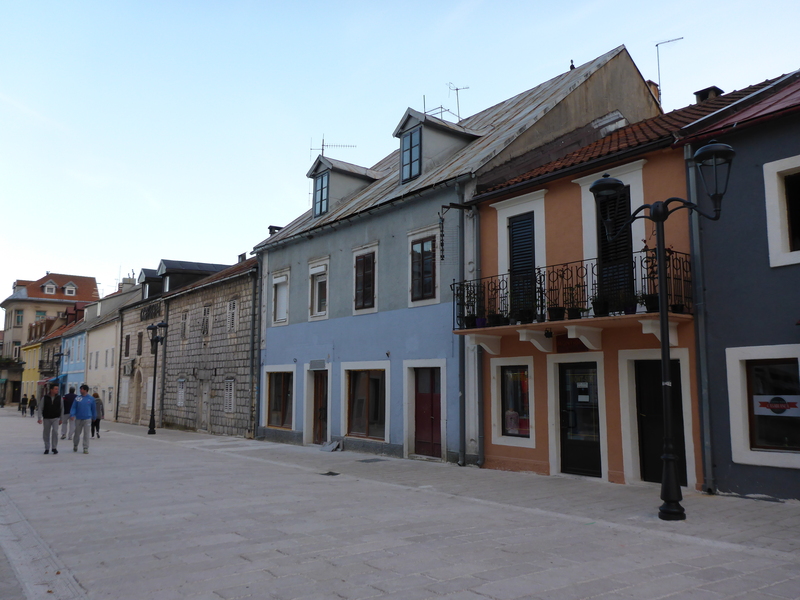 In Cetinje we only stopped for a quick stroll around the city, with some nice colorful houses. If you are passing by it is worth stopping, but not a must see. Our last destination for the day was Rijeka Crnojevića. Again, the GPS could not find it, but we drove towards Podgorica and found a road sign leading to a narrow road down towards the small village by the river. Most houses are relatively worn down and it is quite clear that former days of glory are passed, but it still has a very charming appearance. However, some of the houses along the riverbank has recently been restored. 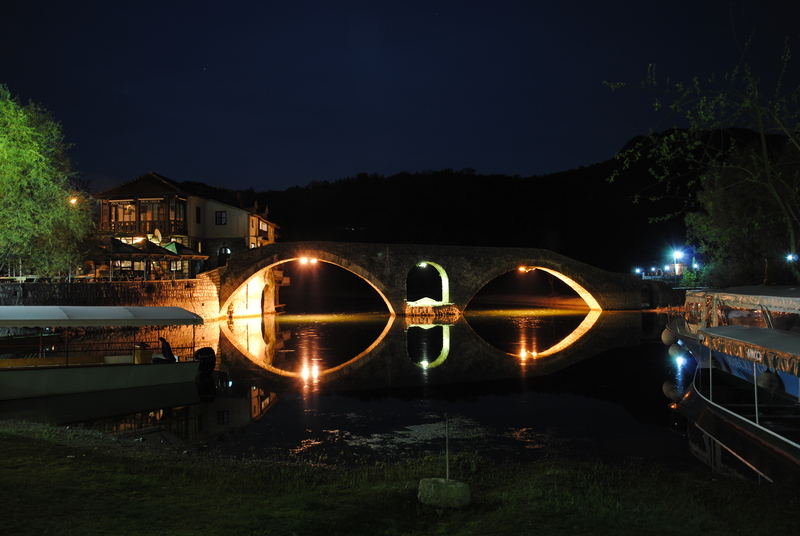 The lovely old bridge across the river is the symbol of the village, and one of the most important historical monuments in the area. 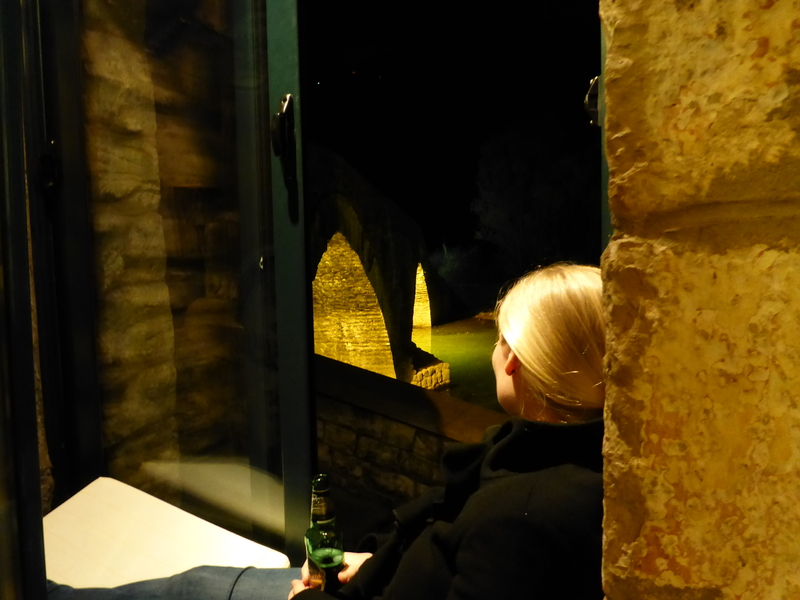 As we had not booked any place to stay, we just asked in the bar right next to the bridge. They knew someone that rented out a double room. There are also a few other alternatives, such as Vila Oktoih. This is also the only place in the village that offer wireless internet. 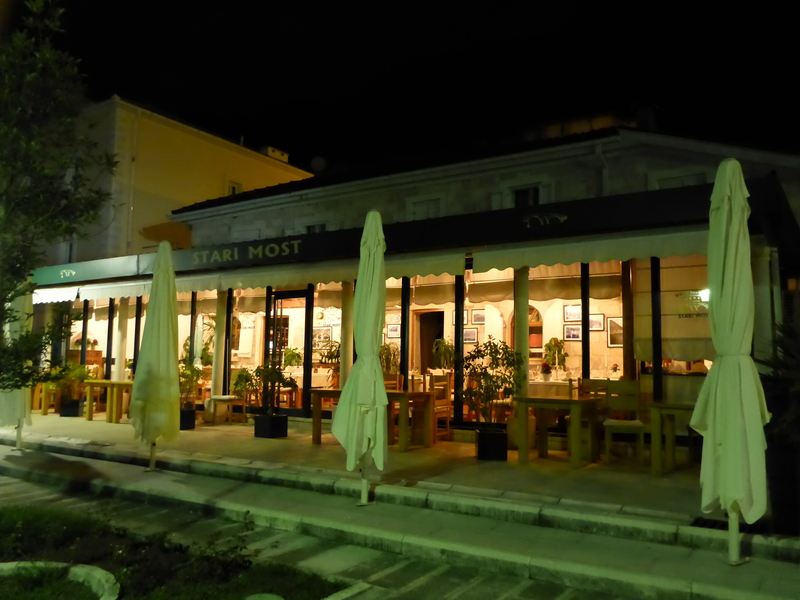 There are a few restaurants along the river, and Stari Most is supposed to be one of the better restaurants in Montenegro. As we were there a bit out of season, the kitchen was about to close when we arrived just before 20.00. We ordered a tasty fish soup for starter, and the restaurant’s specialty, smoked carp, as main dish. This was served with boiled potatoes and a few pieces of vegetables. The fish was rather salty, and honestly, we expected a bit more. After dinner we went to the bar/restaurant that organized our accommodation and had a few beers. They were also about to close soon, but allowed us to stay while they prepared for the next day. Sitting in the window with glorious view of the magnificent illuminated bridge and locals hanging out making conversation by the other table, really made a great ending of a nice day!